Walter Smith Fine Foods is a West Midlands based retail butchery business, operating out of 17 shops around the country, most being in the midlands. With a butchery heritage spanning over 130 years they pride themselves on ‘quality meat, quality service and quality people’. They have a longstanding commitment to butchery training and were active members of the employer group that helped develop the Level 2 Butchery Trailblazer Apprenticeship. Chris Riley has been working for Walter Smith since he was 15 years old. 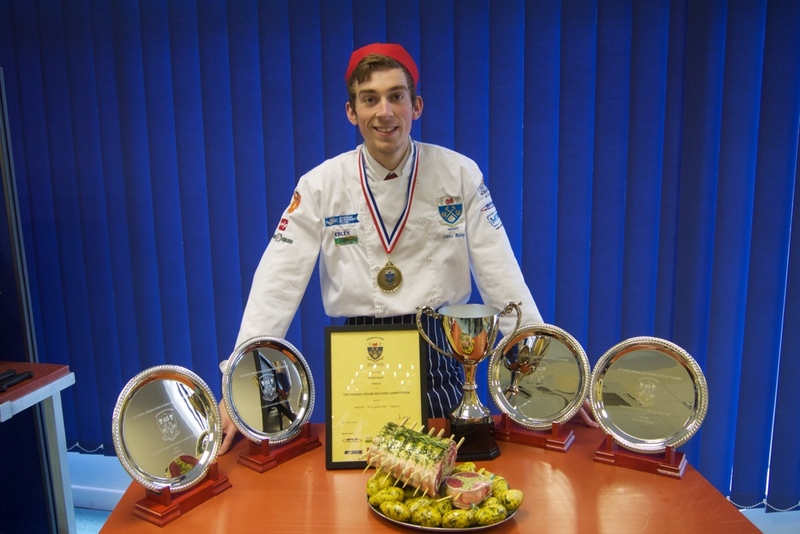 Now 24 he has won numerous titles including ‘Britain’s Premier Young Butcher’ and has represented his country in Butchery at international level. Chris now works for Crosby Butchery Training (owners of Walter Smith) as a qualified Butchery Training Consultant, delivering butchery training around the country. Previous roles include Manager of the Aylesbury shop and Farm Shop Support Manager, responsible for the smooth running of Walter Smith’s 10 farm shops around the country. Chris has also mentored several Walter Smith apprentices, whilst also studying to achieve his assessor’s qualification in Butchery. Here he talks to us about the changes to apprenticeships and how the new Butchery Apprenticeship is benefitting both his apprentices and the business as a whole. What’s different in your view about the Butchery Trailblazer Apprenticeship? Well first and foremost it’s the only Butchery Apprenticeship that trains you to be a proper butcher! The Meat and Poultry framework that existed before the arrival of the L2 Butchery Standard was quite general; completing it didn’t really qualify you to be a butcher. The Trailblazer Apprenticeship (L2 Butchery Standard) is like nothing I’ve seen before – it’s really intensive and covers all the skills, knowledge and behaviours a butcher today needs. It’s also very structured, which helps to motivate the apprentices and gives them a real determination to succeed. What impresses you most about it and what are apprentices learning that under other training schemes they might not have learnt? I think it’s the fact that it is so challenging, all the way through. Not only do they have to keep a formal ongoing record of their learning in their Butchery Logbook and achieve 4 mandatory qualifications, but they have to prove all their learning at independent end point assessments. 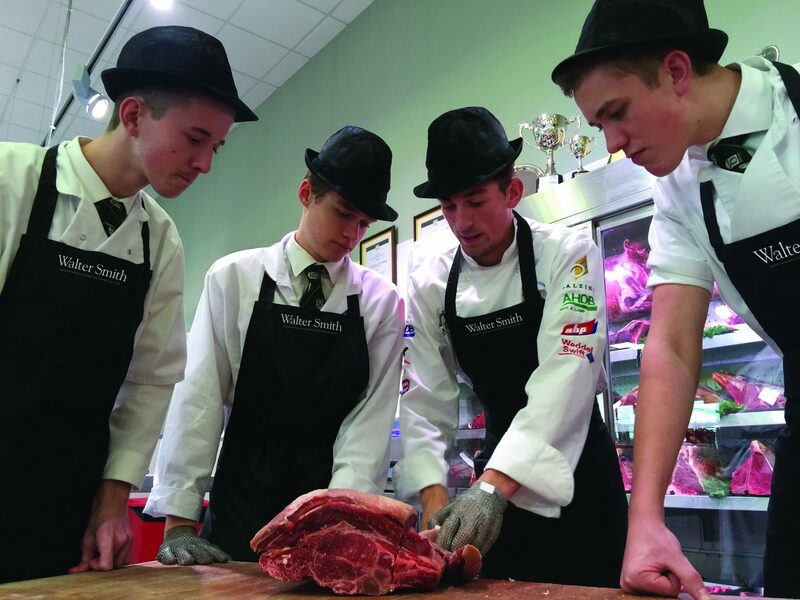 Butchery apprentices don’t just learn the craft of butchery and the cutting skills required, but they also learn about animal husbandry, how to cook with meat and valuable customer service skills. By the end of it you’re practically a Butcher, Chef and Farmer rolled into one! What stage are the apprentices you’ve been mentoring at now? I’m pleased to say that after around 18 months training, all three passed their end point assessment tests in April 2017.They are still working with Walter Smith, developing their butchery skills further. Two have even begun higher level apprenticeships – the Advanced Butchery Apprenticeship, with our own training provider, Crosby Butchery Training. It seems like the skies the limit for them. How confident are you that as a result of the butchery apprenticeship they are now able to work confidently and safely as a butcher? 100% confident! They work to a very high standard and need minimal supervision. I’m really proud of them and they are a real asset to the business. What would you say to other employers thinking of taking on an apprentice? I’d tell them to go for it, definitely. It’s a great way to develop your own experienced butchers. Let’s face it the future of the butchery trade depends on us being able to bring more young people into the profession. And with the level of government funding for apprenticeships available now, why wouldn’t you? The Level 2 Butchery Apprenticeship couldn’t have arrived at a better time.